The Nottingham Hellfire Harlots are proud to be a diverse group of people and in that diversity includes people who are really quite crafty and good at making things as well as those of us who really have to try super hard just to come away with something to take home to show Mum. It was these clever people that we asked to teach us to knit! Killeesi and Taz Mania DeVille stepped up but to be fair, I did warn them that they had their work cut out with someone as hopeless as me plus, Rampaige, The Goon and The Ruth Fairy all needed to be taught to knit from the very start! So why would we even contemplate getting involved in this madness? 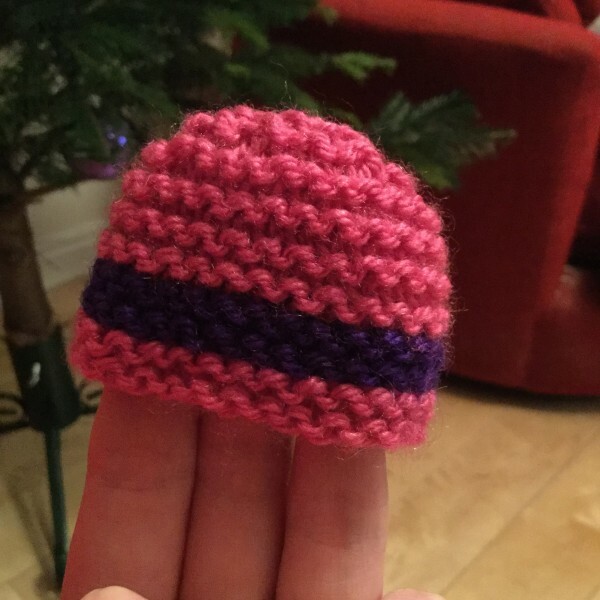 Well since 2003, Innocent Smoothies has run their annual Big Knit campaign where they ask members of the public to knit and send in mini hats for their smoothie bottles. Why? Because for every smoothie with a hat they sold, they donated 25p to Age UK. Innocent has raised £1.7m over the years from over 5 million hats. I have been an admirer of the campaign for a long time and feel incredibly sad that older people can become very lonely and can struggle to keep warm. We had some time, a few people with skills and some more people willing to give knitting a shot so why not?? The others picked up this knitting lark easily (it seemed) but hand-eye coordination is a skill I am yet to really master. Why do you think I don’t play a sport that involves throwing? 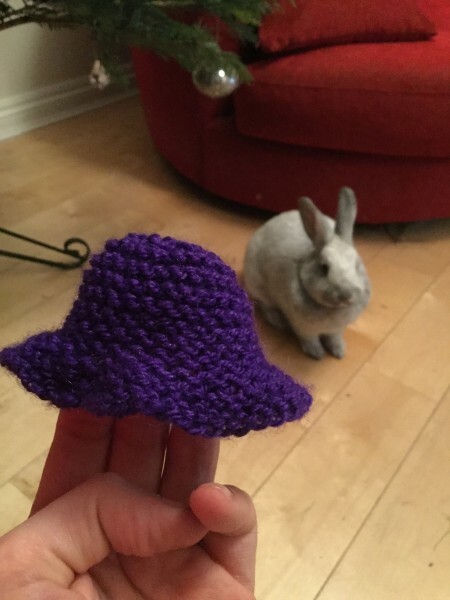 It meant I didn’t get to progress to knit one, purl one like the others but I still managed to knock out 15 hats and even attempted my own pattern and created a sweet little sun hat! If you’re wondering, Rory the rabbit was not down with wearing any of my knitted creations. 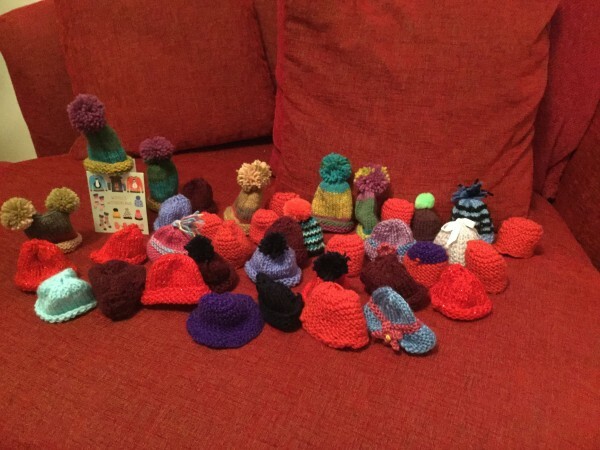 Along with Kitty Fury’s mum, we were able to knit and send off 51 mini hats to Innocent and we are super proud of that. 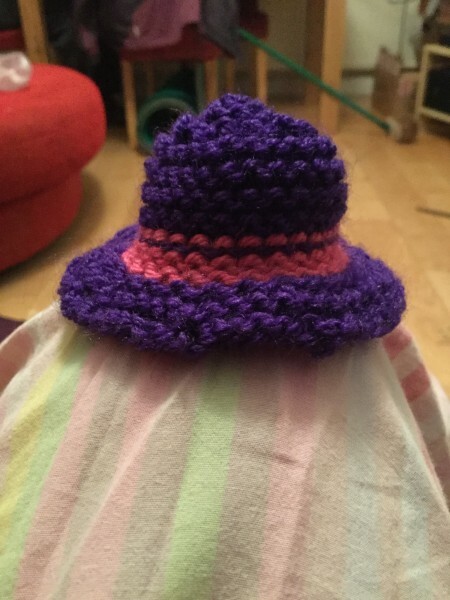 The Ruth Fairy and I are now hooked and looking at progressing to bigger hats, but for now, I think I might continue knitting for next year’s Big Knit campaign because the little hats are quick to make now I know what I’m doing. I’m actually so proud of my efforts and those of the team who have devoted time, energy and materials I’d like to share some of our pics with you all, enjoy! @HellfireHarlots @AgeUKNotts thanks so much for knitting, guys. These hats are a thing of beauty. Here I learned that when changing colour, you need to knit an even number of rows. Doh! 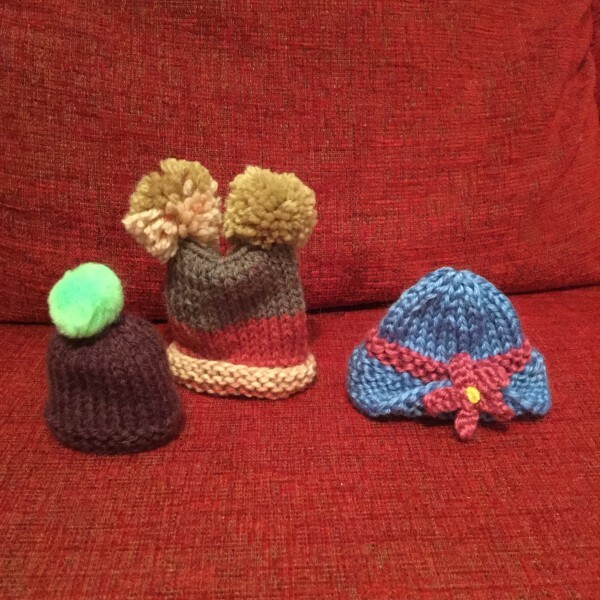 Kitty’s mum knitted some very professional looking hats! All 51 of the hats we sent off! Roller Derby + Half Marathon = !?!?!?!?!?! New line up for Harlots B take EPIC win! 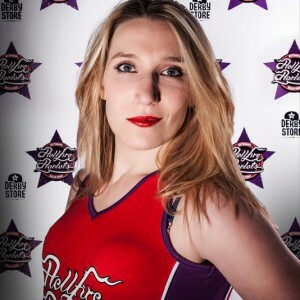 El Black on Should you go legit in roller derby?